Product Description: Blaze 14 3/4 Inch Ceramic Pizza Stone With Stainless Steel Tray - BLZ-PZST. 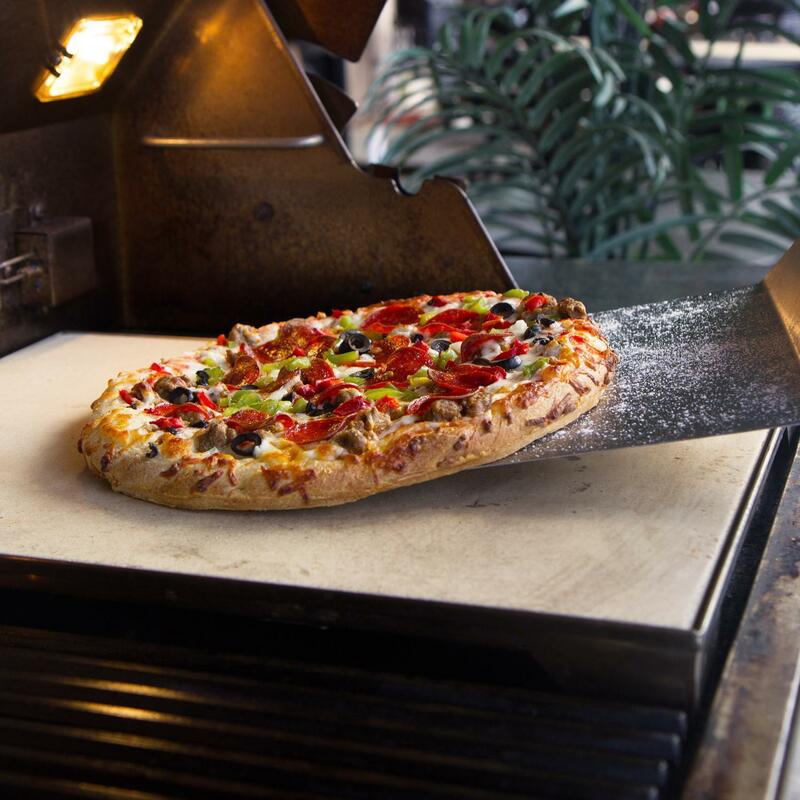 Have your own backyard pizza party with a pizza stone from Blaze Outdoor Products. This 14 3/4 inch pizza stone is made from high-fired refractory ceramics and has a stainless steel tray that elevates the stone, so you can evenly bake a pizza or even desserts! This stone is specifically designed for Blaze Original grills and tray sits on the ledges inside the grill where the cooking grates sit. It can also rest on top of the cooking grids of the Blaze Professional and other brands of gas grills. The cooking grid must be removed to set this tray on the ledge. The stone is resistant to thermal shock so it will not crack if exposed to extreme temperature changes.